A gobble gobble gee and a gobble gobble giggle, I wish apple brined, green chile seasoned, bacon wrapped, herb butter basted, smoked turkey only cost a nickel! Once again, my apologies to Adam Sandler for desecrating his Thanksgiving anthem. I hope you all are enjoying all of the TestGiving Recipes. I would like to thank Cheryl and Patricia for cooking and posting their recipes this week, I could not have done all of this without their help. This year I’m doing the bacon wrapped turkey again but I wanted to take it up a notch and add even move flavor to this big bird. You would think that wrapping it in bacon would be enough, but there is always room for improvement. 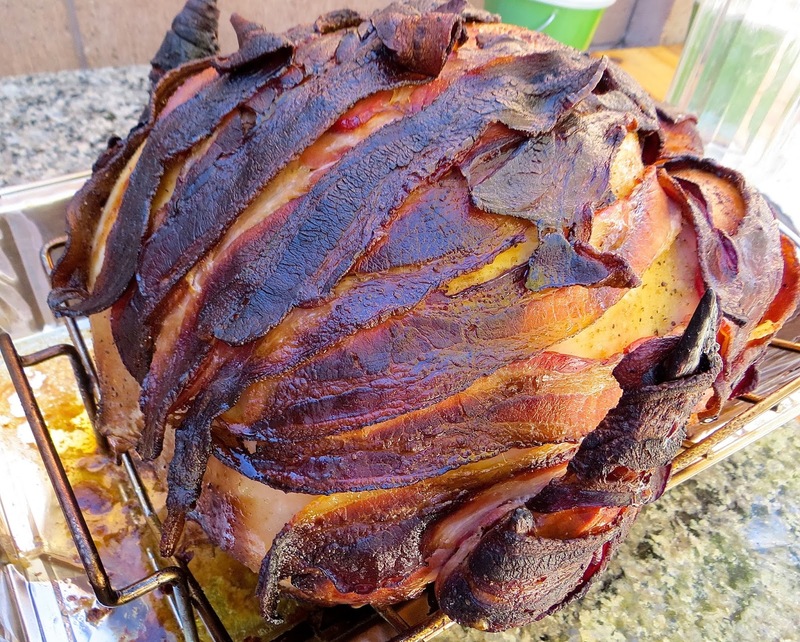 First, I brined the turkey in apple juice, season it with my Green Chile Rub, wrapped it with 2 lbs of bacon, infused it with oak and apple smoke and then, if that’s not enough, I’m basted it with a three herbs and butter. Does that sound delicious or what?? I have said it year after year, for a moist and delicious turkey brine it! The base of the brine is pretty much the same, apple juice, brown sugar and salt. I tweaked my recipe with the addition of some citrus fruit and zest. I started by zesting the lemons, lime and orange and then sliced into quarters. In a large stock pot, I squeezed the juice from the fruits and left them in the pot. Next I added the 1/2 the apple juice, brown sugar, salt and zest, and simmered for 15-20 minutes with the occasional stir to ensure the salt and brown sugar are dissolved. 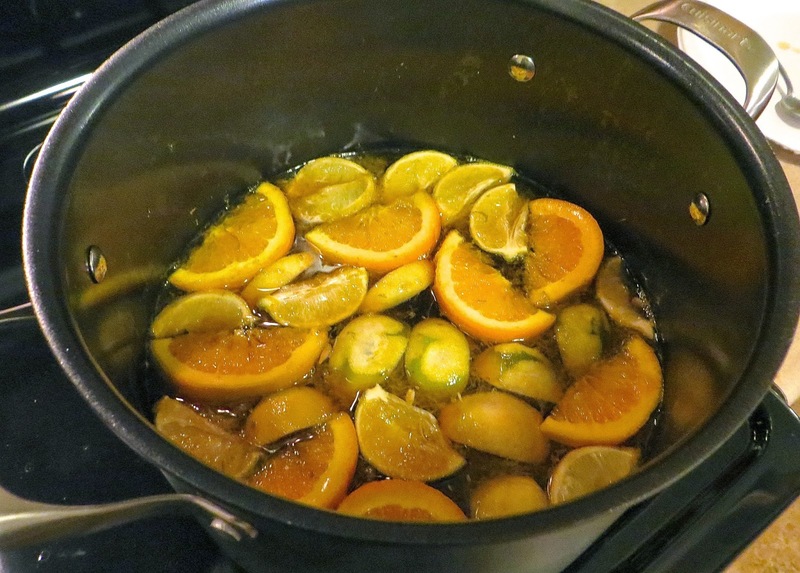 Add the other half of the apple juice to your brining vessel the add the brine from the stock pot and stir. Now add the turkey. If the turkey is not fully submerged add water to bucket until it is. Refrigerate over night. My brining vessel is 5 gallon food safe bucket, you can pick one up at a restaurant supply for $20-$30. You can also use an ice chest or a really big zip lock bags. Just don’t use a metal stock pot, the salt will react with the pot and make the turkey taste metallic. 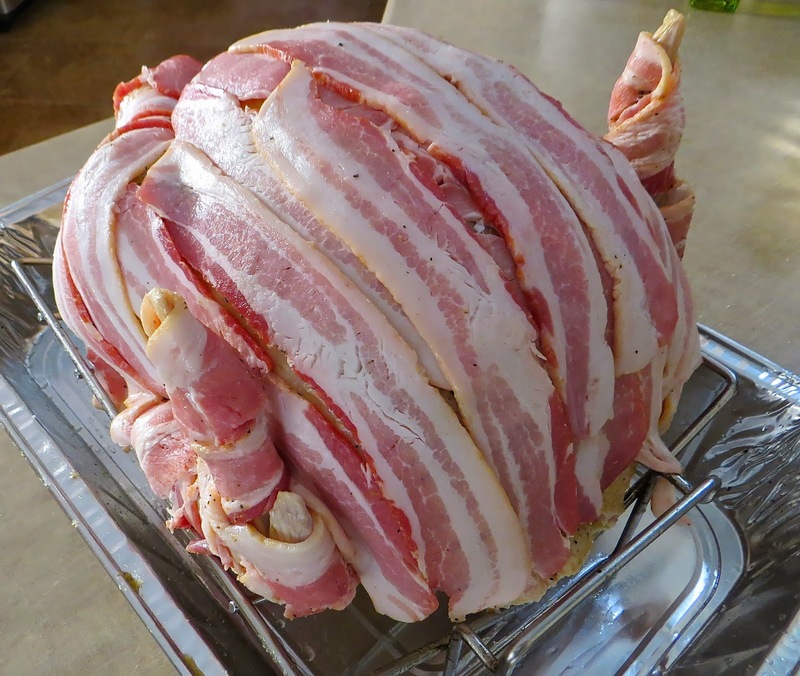 Turkey Seasoned and wrapped with 2 lbs of BACON!! After the brining it’s time to prep the turkey. Remove the turkey from the brine and pat dry. I decided to season it with Green Chile Rub, to ensure the rub sticks to the bird I gave it a light coating of olive oil followed by a good dusting of the rub. Now for best part, the bacon wrap. I used 2 lbs of bacon to completely cover the breast and wrap the legs and wings. I used a blend of oak charcoal and chunks of apple wood. There were a lot of flavors already going on with the from the brine, the rub and the bacon, I just wanted to add sweet and mild smoke that blend well with the other flavors. I smoked the 20 lbs turkey at 275-300 for almost 6 hours. My rule of them for cooking poulty, 15-20 minutes per pound. Just be sure the internal temp is at least 160º and temp it the thigh and the breast. After 3 hours in the smoker, its time to remove the bacon. 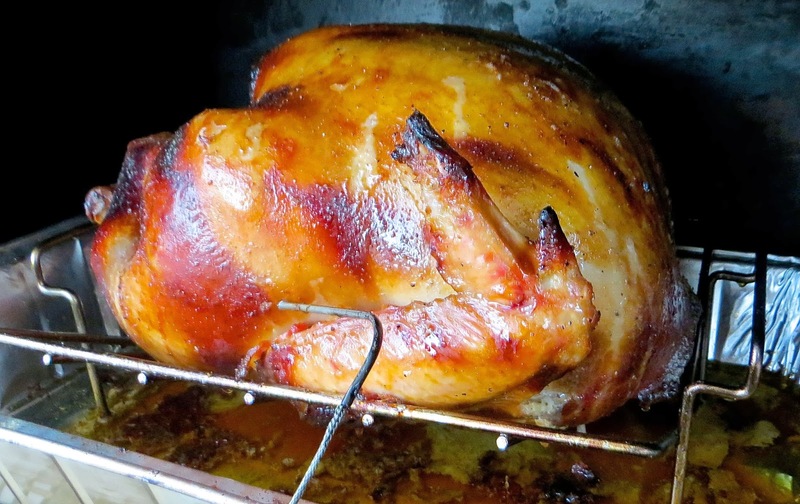 The bacon has done it’s job, infusing the turkey with flavor and protecting the delicate skin from over browning. Now for the next layer of flavors, the herb infused butter. I melted a stick of butter and a quarter cup of olive oil. 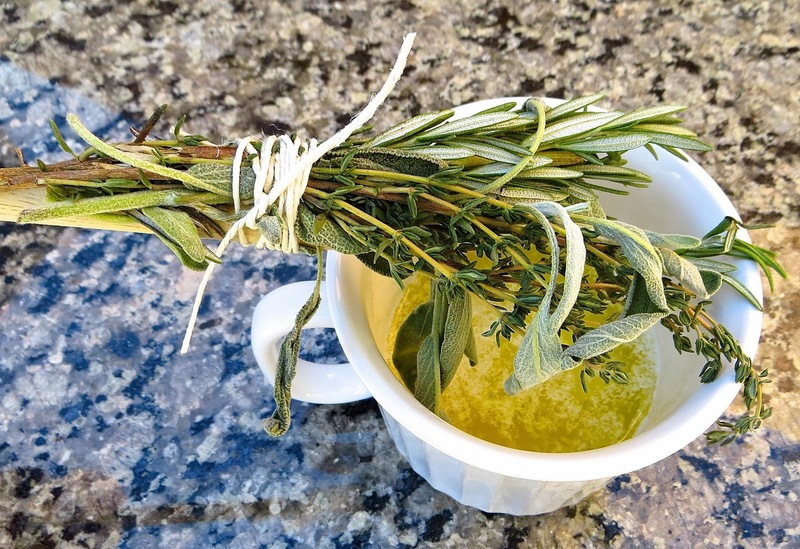 I made an herb brush with some sprigs of sage, thyme and rosemary and tied them on the end of wooden spoon. Then every 30 minutes I brushed the turkey down with butter until it was done. The butter kept the skin moist and gave it that beautiful golden brown color and of course more flavor. Well, The Fourth Annual AlbuKirky TestGiving was a HHHUUUGGGEEE success! Everything was absolutely fabulous. Every dish in the line up was perfect, from the homemade crecent rolls, to the buttercup squash sweet potato casserole and of course the headliner, the turkey. This turkey was probably the best I’ve ever made. It was moist with layers of flavor from the brine, the green chile rub, the bacon, the smoke and the herb infused butter. It sounds likes like a lot going on but it was a true symphony of flavors. Now, I’m getting hungry all over again. I can hardly wait 18 days until we do it all over again. Well, that’s it for this years TestGiving. I hope you all enjoyed all the recipes we posted this week and maybe gave you some great ideas for you Thanksgiving! I love Thanksgiving. 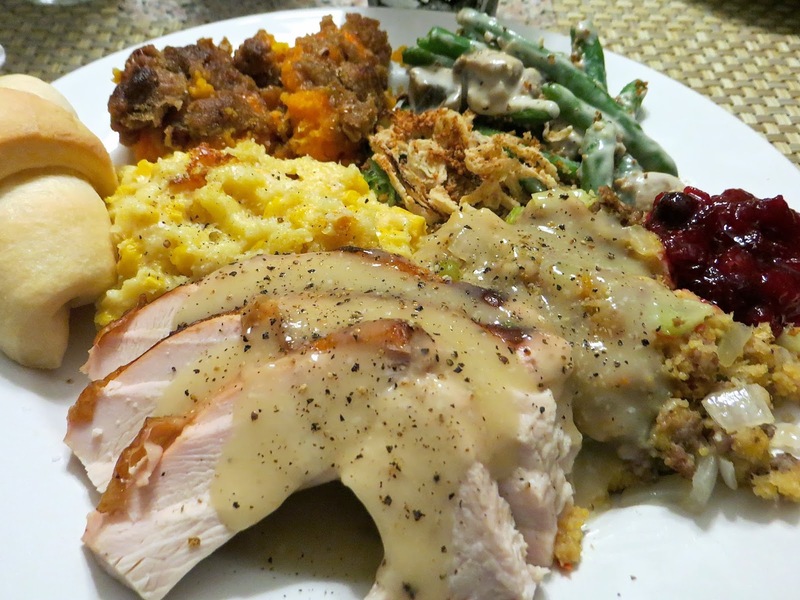 And being a food blogger and I REALLY getting to have 2 – 3 Thanksgivings each year as practice! Isn't that the best? The bird looks great! Thanks Chris, next Testgiving I'm going to spatchcock it!